The Womens Thick Skin Union Suit has been a staple of our women’s layering line up for quite a while. However, with the release of our Women’s Shawty Dry Suit, featuring a front relief zipper, we ran into some compatibility issues. It now features both a drop seat and a front fly to handle it all when nature calls. 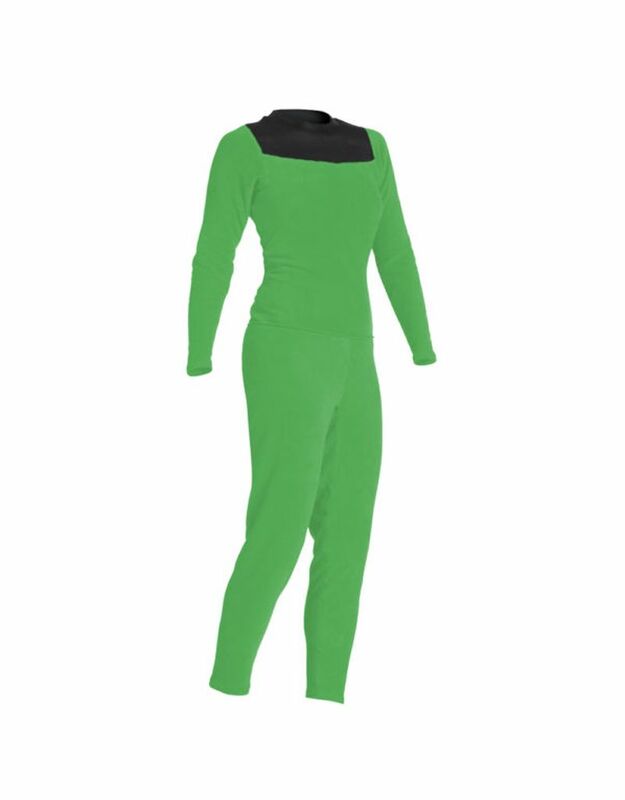 The Women’s Union Suit is a unique one-piece cold weather base layer. Made with soft, plush 29% Greenplus ® environmentally friendly polyester, 64% polyester and 7% spandex, a heavyweight, stretchy, double sided fleece. Innovative super stretch neoprene collar allows you to enter the suit via the neck opening thus no zippers or closures. The best layering piece for cold weather paddling available. UPF rating 40+ (blocks 97% of UV).